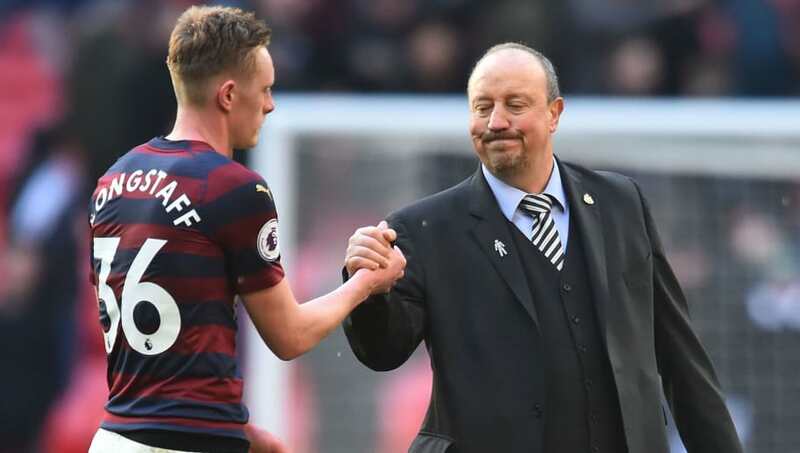 ​Newcastle boss Rafa Benitez has explained why Sean Longstaff's good run of form has given him a good kind of headache as he has the luxury of having a variety of options for the game against Wolves on Monday. The 21-year-old joined the first team last summer and has done well in his run of seven starts for the Magpies. He has been particularly impressive alongside fellow midfielder Isaac Hayden. Mohamed Diame and Ki Sung-yeung are both available for Rafa Benitez to select for Monday night's game at the Molineux, but Longstaff could keep his place in the team after impressing the boss. As quoted by the Shields Gazette, Benitez said: "They are all training well, I'm happy with Sean - he's been doing well. That (the midfield) is a difficult decision for me this week. But not just this one, just to pick the team and the squad." Benitez also has Paul Dummett and Yoshinori Muto back from injury and international duty respectively and has more options available to him this week. Benitez also commented on Miguel Almiron, who joined the club in January from MLS side Atlanta United and could make his first appearance on Monday. When asked about the attacking midfielder's training, Benitez added: “He’s fine, his training has been good. “He’s fit and is a player with good stamina and pace. He’s mobile and quite dynamic. The question now is what will happen with the physicality of the Premier League – that’s the main difference between the Premier League and the MLS. “What I can say about Miguel is that he’s a nice lad, a worker, and he’s been training well. He has already been talking to the nutritionists, so he’s quite professional. I think he will be OK."